I'm thrilled today to be swapping blogs with my friend and talented author. Roseanne Dowell. Roseanne writes warm and entertaining stories, but I bet you didn't know she also teaches writing classes. 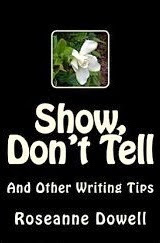 She has used her experience in writing and teaching to put together lessons with practical examples in her new release, Show Don't Tell and Other Writing Tips, available in Kindle and print. Roseanne is generously awarding a copy of her book to a lucky commenter. And because we are swapping, I am a guest at Roseanne's blog featuring my book on writing tips, Romance and Mystery Authors on Writing. Hop on over to Roseanne's blog to check it out and leave a comment to enter the drawing to win a free digital copy of this book. Winners of the eBooks will be announced on Thursday. Did you ever wonder what made you remember the characters in a book? Or what made a story especially memorable. In Part One, you’ll learn to see, hear, smell, feel and taste your story. By combining many elements of writing, my book will help you learn how to write publishable stories. I’ve worked out lessons that will teach you to use the senses, avoid boring dialogue, and write memorable descriptions. Learn how to put pizzazz in your writing and how to avoid unnecessary words, using action, senses and self-editing. Show Don’t Tell covers it all. In Part Two, you’ll learn how to self edit. Editing is, by far, the most difficult part of writing. Okay, one of the most difficult. Editing is where we have to cut precious words, sentences, or maybe even whole paragraphs. How do we even go about editing? Most of us know to look for punctuation, that’s the easy part. After all we’ve all learned about commas, periods, question marks and exclamation marks in school, didn’t we? You’ll learn how to create and describe characters, places, and things, keeping your POV consistent, proper dialogues, common mistakes, and how to prepare a manuscript. How many times has something funny or unusual happened and your friends said you should write a story about it. Should you? What if your friend got stuck on the roof? Would his experience make a good story? How about kooky events, scary dreams? Ever hear a portion of conversation and wonder what it was all about? There are many places and ways to come up with ideas for good stories. Follow these lessons and you’ll enter a land of make believe so real, you’ll think it happened to you. From Uncle Joe getting stuck on the roof, to newspaper articles and even the classified ads, In Part Three – Turning Your Ideas into Fiction, you’ll learn the perfect way. . If you’re wondering where authors get their ideas, you’ll find out in this book. Have you ever wondered how much fact to put into fiction? She is an avid reader. Roseanne writes various types of romance - paranormal, contemporary, and mystery. 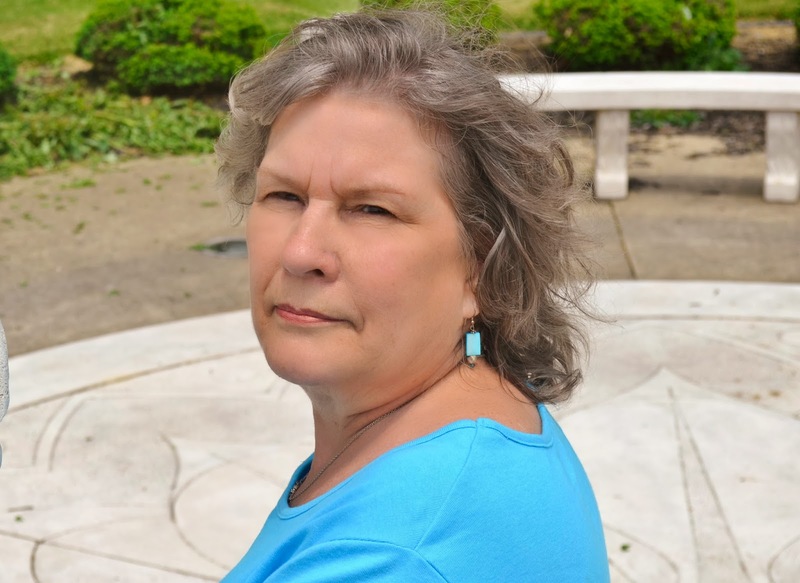 She has several books available at Amazon as well as over 40 articles and short stories published in magazines such as Good Old Days, Nostalgia, and Ohio Writer as well as several online publications. Besides teaching writing courses for Long Story School of Writing, she also taught two writing courses for the Encore Program at Cuyahoga Community College. Roseanne lives in Northeast Ohio where she enjoys life as a wife, mother of six, grandmother of fourteen and great grandmother of two. When she’s not writing or enjoying her family, Roseanne spends her time with embroidery and quilting, especially combining the two. She also enjoys blogging, tweeting, facebooking and posting on various writers groups. Leave a comment to enter to win the drawing for Roseanne's book. Do you have a writing tip to share with us? A book on writing you depend on for great information? A writing website you read every week? Thank you for stopping by. Get notices about new blog posts on the J.Q. Rose blog by adding your email address to the box in the upper right hand sidebar. Welcome, Roseanne. Looking forward to a fun blog swap this week. Thanks for swapping. Thanks, Ro, for showing us how to show, don't tell. When I first heard this concept in my writing process, it took a while to get "it" through this thick head of mine. But I think that's what distinguishes writers from story-tellers. Even a mechanical engineer can be a writer if he writes a technical manual, but a storyteller "shows" you the tale. This sounds a great book, Roseanne, and a really useful addition to any writers' library. I especially love your section on how to turn small life events into a story. Hi Helena, Thanks so much for stopping in. Yes, Anna, Roseanne's book has the lesson and then examples of her point. Thank you for stopping in. Congratulations, Helena Fairfax, you are the winner of my book, Show, Don't Tell. I'll email it to you. Thank you all for stopping in and taking the time to comment.